We’re open as normal this Easter and have a very special offer on injectable treatments on the Bank Holidays. 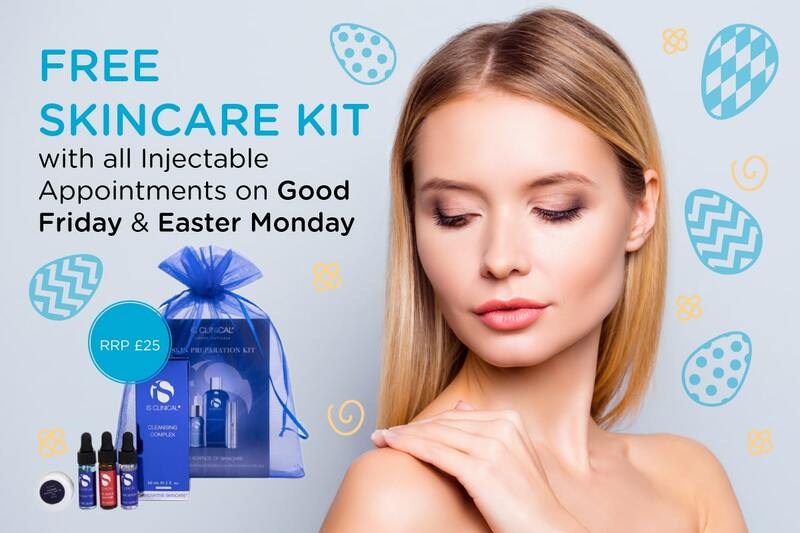 If you book an appointment for Good Friday or Easter Monday for an injectable treatment – Botox, Lip Fillers or Dermal Fillers – we’ll give you a FREE iS Clinical Skincare Kit worth £25. All you need to do is mention the offer on booking for treatment on those days. To book in, call us on 01943 882010.